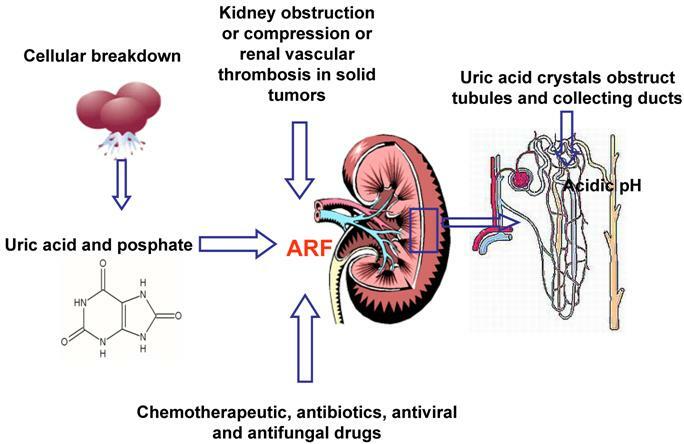 Acute Renal Failure (ARF), now referred to as acute kidney injury (AKI) is defined as the abrupt and rapid breakdown of renal filtration function. It primarily occurs when waste products and minerals of the urine start accumulating in the blood. ARF is usually marked by an increase in the serum creatinine concentration. If untreated, effects can be drastic, resulting in permanent kidney damage, seizures, coma or even death. Apoptosis or programmed cell death (cell suicide), is a process in which cell death occurs in response to a variety of stimulus in a controlled regulated manner. 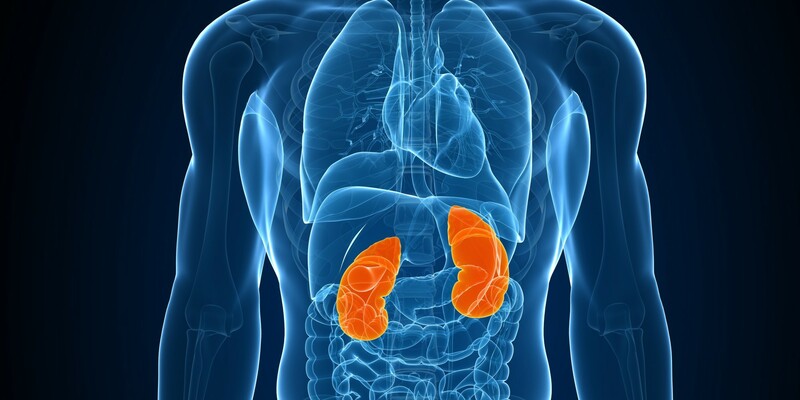 Acute renal failure is the sudden loss in renal filtration resulting in accumulation of uremic toxins in the blood. This condition develops when the kidneys are not able to filter (or excrete) balanced amounts of nitrogenous wastes in the urine. Characteristic symptoms of ARF are vomiting, anorexia, nausea and edema. Diagnosis is made on the renal function tests including serum creatinine. Treatment of the disease is mainly focused on the cause of the condition and may also include management of fluid and electrolyte as well as dialysis (in severe conditions). Several disorders develop in the course of the disease. In approximately all cases, levels of urea and creatinine in the blood increase, resulting in disorders related to fluid and electrolyte imbalance. Serious disorders that develop along with acute renal failure include hyperkalemia and pulmonary edema. Apoptosis is a part of any normal process of growth and development in multi-celled organisms. Also known as cell suicide, apoptosis includes controlled cell death triggered by a variety of stimulus. This differentiates apoptosis from another type of cell death called necrosis (in which cell death is not regulated, leading to other potentially serious health problems). The stimulus can be in the form of signals ordering the cells to undergo apoptosis or intrinsic signals that are a result of cellular stress (due to radiation or chemical exposure or viral infection). Retarded growth or oxidative stress can also trigger cellular stress. Also, intrinsic signals that cause apoptosis normally involve mitochondria. The renal tubular cells already injured as a result of ischemic and toxic acute renal failure, die by apoptosis. Apoptosis includes increased cell shrinkage along with breaking up and condensation of the nuclear chromatin. Fragmentation of the apoptotic cells leads to the formation of apoptotic bodies (plasma membrane-bound vesicles). These bodies are quickly phagocytosed by adjoining epithelial cells and macrophages. Post-acute renal failure, apoptosis of the renal tubular cells adds to the tubular cell loss and dysfunction. Medical interventions that protect or enhance tubular cell apoptosis also play an active role in reducing renal dysfunction and promoting recovery after ARF.